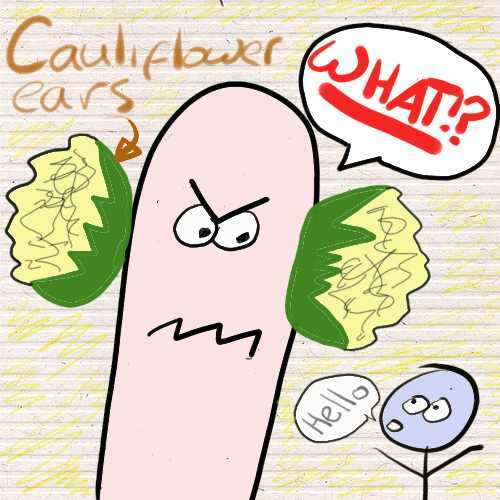 This entry was posted in Uncategorized and tagged cauliflower, Comedy, Deafness, hearing loss, Humour by stroppysausage. Bookmark the permalink. I suppose you could justify that monkeys are in charge of the financial situation, which inevitably lead to the crisis, no? As for the Scrap Iron guy: where I live, we have a man who drives a van around and broadcasts that he sharpens scissors and knives. I don’t know if that is a threat on his part.